Absolute Joy to work with! "Cynthia was truly an absolute joy to work with. As the home buying process can be very daunting She made it a very painless process that in the end game landed me a home I am truly be pleased to call my own." "Cynthia is a fabulous realtor. She has helped me buy a house, sale a house and buy another house....in less than a year. She put my house on the market on a Monday afternoon and my house sold on Sunday. I bought the first house Cynthia showed me because she knew what I was looking for and "matched" me with the house. She is very personal and accommodating to you wants and needs. Cynthia is above professional. I would never use anyone but Cynthia Gustafson and I would recommend her as a realtor to anyone at anytime. Absolutely THE BEST. Communication through the entire process was excellent! "Cynthia did a great job for us from beginning to end! Everything felt really easy. Things were organized and well planned out for every detail. Communication through the entire process was excellent. I would recommend her to anyone that is looking to buy or sell in the Spokane area." Completely Comfortable at Every Step of the Process! "Cynthia was wonderful to work with and made us feel completely comfortable at every step of the process of purchasing our new home. She is incredibly knowledgeable about our preferred neighborhoods, responded immediately to our questions and was just a joy to work with." "Cynthia was always willing to meet us for a showing as quickly as possible, even when she was sick. While on her personal vacation, she assigned us another person for showings and still made regular contact with us. I'm very happy to recommend her to anyone who wants an agent completely dedicated to helping you find your new home." Cynthia is a great asset! "Cynthia is a great asset for anyone selling or buying a home. I recently sold my home with her as my agent, and will defilinitely be working with her when I am ready to buy my new home. She keeps you updated with any information pertaining to your selling/purchasing a home and is wonderful to work with! I would recommend her to anyone!" Dedicated to Sell My Home! "Cynthia was very dedicated and went above and beyond to take care of many details that arose unexpectedly. She made me feel as though I were her only client and was never too busy to respond." Finding us the Perfect House! "Cynthia is amazing! She was so organized and helpful in finding us the perfect house! The whole experience as first time homebuyers was completely stress free! Cynthia is 5 Star in my book!" "Cynthia is always willing to go the "extra mile." Any questions or requests are handled quickly and professionally. We have purchased two homes from her and would highly recommend her." Great Attitude and Negotiation Skills! "Cynthia was amazing. Great attitude and negotiation skills. She found us our forever home! Thanks for everything! I have already referred her to other clients." Helped me sell and buy a new home! "Cynthia is wonderful. Very caring. She has vast knowledge as a realtor, and really seems to love what she does. She had helped my sell my previous home, so there was no question who I was going to have help me buy my new one." Helped us Buy 2 hourse and Sell our Home! "Cynthia was very helpful in helping us buy 2 houses and sell one house last year. She was very reliable and always updated us in the process. She was patient with us as we had not bought or sold for many years and had a lot of questions. We would recommend her to anyone for their real estate needs." Highly Recommend her to All My Friends! "Cynthia is such a professional! She is very knowledgeable and helpful, and willing to go the extra mile. She listed my property, held an open house (even though she had a tooth ache) and it sold by the end of the weekend. I really appreciated her help and highly recommend her to all my friends!" Knew exactly what we wanted! "Cynthia is absolutely wonderful--she is the perfect mix of professional, friendly, fun, prompt, and knowledgable. She always had a plan for us with options and she always knew exactly what we wanted. She represented us extremely well and always had out best interest at heart. I really liked that she always anticipated the next step for us so we were always ready during our search. She was absolutely on top of the process and helped us find the perfect home for our family. She understood our need to be in a certain area, with certain schools and a certain size. Cynthia is a fabulous realtor and has become a wonderful friend too. Knowledge of the market was excellent! "Cynthia helped us look for about 7 months to find the house that was right for us. Her commitment to meeting our needs was remarkable. Her knowledge of the market was excellent and proved instrumental in securing us a favorable deal on a wonderful home. We were first time home buyers and Cynthia did a great job of guiding us through the whole process. We highly recommend her with no reservations." Looked out for our Best Interest! "Very professional and always a happy attitude when we were with her. She always looked out for our best interest. I would highly recommend her to all my friends and even strangers on the street and who are looking in buying or selling. A+++"
"Cynthia did a fantastic job helping me find my new home 2500 miles away from my home in MS. She was very prepared to show me lots of homes in a two day time limit. With Cynthia's help I was able to see homes not only in my price range but the kind of home I wanted. She worked well with the sellers of the home I did buy as well as their relator and we closed on the house in a month's time. Cynthia was very professional as well as personal. I would highly recommend her to anyone. She is a super great realtor!!" "Cynthia was a pleasure to work with. She walked us through every aspect of the listing and sale of our home. Since we had moved out of state, it was great to have a realtor that quickly earned our trust, and was so responsive and helpful with what could have been and very complicated process. She was just great!" "Cynthia has always been friendly, helpful and professional. We much appreciated her knowledge of the wide variety of housing developments here in Spokane. She was especially helpful in finding the house that best matched our needs and answering all of the questions that came up in a timely manner. We hope to enjoy many happy years in our new home! Cynthia will be highly recommended if we hear of anyone needing a broker!" "Both Johnnie & I very much enjoyed the whole house hunting & selling experience a great deal. We learned a lot & appreciated Cynthia's quick eyes to scan & detect problems! We appreciated her broker skills in selling our home so quickly & finding exactly what we wanted to purchase. We enjoyed the friendship & hope to keep in touch! Thanks for everything!" "Cynthia was recommended by a local Realtor and we hit it off instantly. We live across the state and never actually met her face to face but that didn't matter, she did a great job getting our house out in public view and just a few weeks after listing we received a full price offer. Cynthia was great to work with and some day we will take the drive to meet her in person." She made sure everything went as smooth as possible! "Cynthia is amazing! Being new to Spokane she made sure not only to show potential homes, but show the ins and outs of the neighborhoods we were in. She worked so hard to help us find our house, and walked us through every step. Our purchase was not the easiest, and she made sure everything went as smooth as possible, above and beyond what we ever expected. On top of all this, she is super fun, positive person to be around! I would absolutely recommend Cynthia to anyone looking to buy or sell their home." She Really Knows the Spokane Market! "Cynthia will do everything she can to help make a deal happen, including help bridge the gap between the two sides. 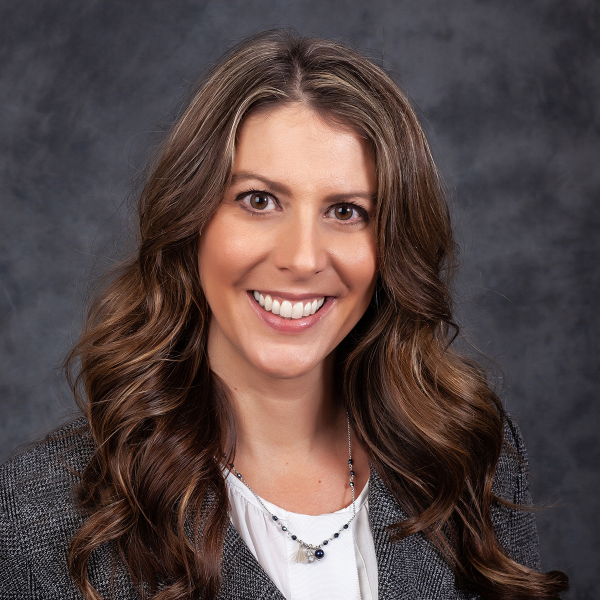 She really knows the Spokane market and can help you find a house or sell one." "Cynthia guided us well through every step of the home buying process. Although it was a seller's market and frustrating to us as buyers at times, she helped us navigate how best to secure our new sanctuary. She was thorough with her searches (and we looked at A LOT of homes! ), and patiently helped us put together several offers until our final one was accepted. Cynthia's expertise with the market, process, and paperwork was exceptional, and if she didn't know the answer, she asked someone who would. Also, it was easy to communicate with her via email or text and she responded promptly to our questions or requests. She also connected us with a Jamie Larrigan at Inland Mortgage who was extremely helpful with our financing. Overall, we were very impressed with Cynthia and her assistance in finding our forever home!" She worked hard for us! "Cynthia is very professional and competent. She worked hard for us and her knowledge of the area, the market and pricing were right on. We would recommend her to anyone looking for a home in Spokane regardless of area of preference." "I was and still am very impressed with Cynthia Gustafson. She was introduced to me through a relative who was also using her to find a home. We called on a Fri and explained what we were hoping to find and met with Cynthia on Monday. After looking at a few places that day she suggested one that we had passed on. When we walked in I knew in minutes it was exactly what we wanted. So thankful she had us look at it. Cynthia was available for most everything that needed to be done to get through the process of buying this home. The few times she wasn't in the office she saw to it that someone there was available to help me. I will certainly recommend her and when ready ask her to help me with another purchase. Very well organized and even made herself available while on her vacation. Best I have ever worked with."